Every bottle of MangaJo iced tea is packed with ingredients that love you right back. We have explored the world to find the very best goji, the purest green tea and the reddest rooibos. Our acai juice comes directly from a lovely lady living in the Amazon jungle, and it is suppliers like Fernanda that make our teas taste amazing. 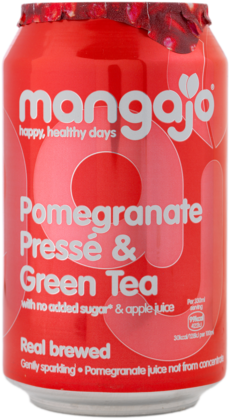 MangaJo drinks are based on antioxidant-packed green or red tea,enhanced with exotic superfruits. There are no added colours or preservatives and no added sugar or sweeteners. Just pure and amazing ingredients in a deliciously refreshing blend. They may be tiny, but they have a BIG job to do! Antioxidants, which give MangaJo iced teas their superpowers, are nature’s heroes. They zoom around the body zapping free radicals caused by stress, pollution, smoking, alcohol and sunlight. Free radicals have been shown to cause all kinds of trouble in the body so a daily dose of antioxidants will keep you firing on all cylinders. Tea is one of the world’s best-known sources of antioxidants. We’ve combined Green Tea and Rooibos Tea with superfruits like pomegranate, acai, goji and grape, which are also packed full of our little heroes. Three super foods come together in this cleansing energy booster: green tea, blueberries and Acai, an antioxidant-packed berry of Amazonian proportions. The purple Acai berry from Brazil is a nutritional super fruit and is one of the richest known sources of fruit antioxidants. We use all natural ingredients, no colours, no preservatives or sweeteners. Native to the Himalayas and nicknamed happy berry in Asia, Goji berry has more beta-carotene than you can shake a carrot at. It is one of the highest known sources of carotenoids of all common foods. Combine this with green tea for a healthy dose of antioxidants to brighten up your day. We use all natural ingredients, no colours, no preservatives or sweeteners. This delicious pomegranate and apple drink with green tea is a great source of antioxidants. Combining age old wisdom from the Middle East and Asia, Pomegranate & Green Tea contains two of the world`s best known sources of antioxidants making it a double dose of detoxing refreshment that tastes great. We use all natural ingredients, no colours, preservatives or sweeteners. This delicious grape and apple drink with redbush tea is good inside and out. Glowing skin, strong teeth and bones, smooth digestion and a good nights sleep. Sound good? Try redbush (roy-boss), South Africa’s wellbeing wonder-drink, believed to tick all these boxes. We’ve sweetened ours with grape and a little apple, but there are no nasties, just pure, natural ingredients. Thought all the fruits had been discovered? Think again. 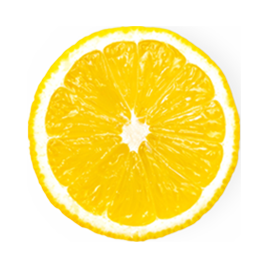 The Yuzu is only the size of a golf ball, but it tastes like lemons, grapefruit and limes, and bursts with antioxidants too. Best of all though, it makes amazing still lemonade. A gently sparkling version of a firm favourite, this lemon and green tea drink brims with zest for life. 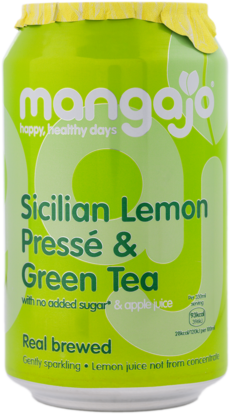 Sweetened with apple juice, and full of antioxidants, it contains no added sugar or artificial colours or preservatives. This mouth-watering pomegranate pressé and green tea tastes as good as it looks. Natural ingredients give this gently sparkling drink it's joie de vivre. Pomagranates are full of flavonodis, and of course green tea is rich in antioxidants - meaning as abundance of nutrients to help maintain health and well being.